Keep in mind that when we are this early in the process, we do not even know if this is a real family unit. It is not uncommon for illegal aliens (including criminals) to pretend the children they are traveling with are their own. They do so in the hope this special family status will result in them being released (this madness is known as “catch and release”) into America with nothing more than a court date — a date many never show for, most especially those with criminal intent. In other words, in order to keep the family unit together, we can either put children in adult detention centers (unthinkable), put adults in child detention centers (unthinkable), or hold no one, which means “catch and release,” which means letting even more illegal immigrants loose to live in our country illegally. The only moral and legal option here is to temporarily separate families while the criminal justice system runs its course. Trump is wisely choosing to do the latter (for a number of moral reasons I will explain later). 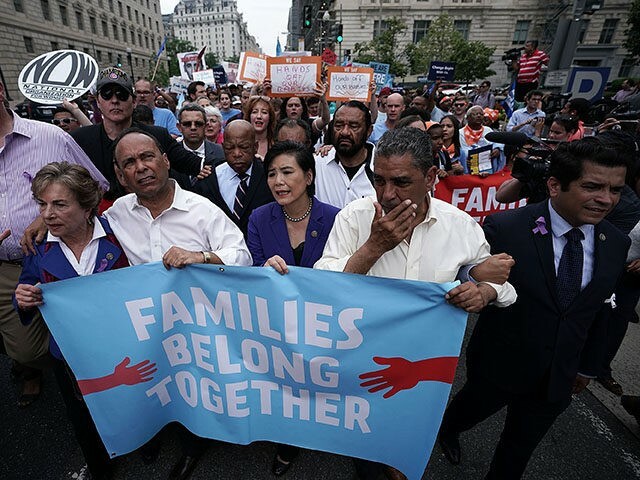 By speeding up the asylum process, the family unit can be reunited faster, either in the deportation process (if asylum is not granted — and this process is frequently abused) or in the resettlement process (if asylum is granted). Another option is to end the 20-day limit so foster care does not become necessary. Parent and child can remain in the detention centers until the asylum process is settled. Again, the last thing decent people want is for the American government to further incentivize the cruel act of bringing small children along on this brutal trip across the border, which is exactly what Trump is hoping to stop with his zero tolerance policy. To my colleagues out there chasing Pulitzers over this: Why didn't today's critical mass form when we were looking at unaccompanied minors by the tens of thousands in 2014. Why didn't those kids matter as much as these? Few of us chased those stories down with any vigor. 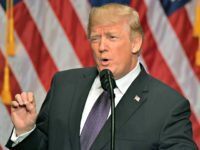 The only reason the media suddenly came to care about family separation is as a means to fabricate a controversy, as a tactic to distract voters from three legitimate news stories from last week that benefit Trump: 1) our economy is booming, 2) Trump had a successful summit with North Korea, and 3) the Inspector General report exposed James Comey’s FBI as a swamp of corruption out to exonerate Hillary Clinton and frame Trump. The media will not tell you this because the media do not want you to know that flooding America with non-citizens is their true agenda. The rich and powerful love to exploit and abuse these individuals, as they can leverage their immigration status for illegally low wages, and politicians are salivating at the chance to bestow voting rights on them — and thus entrench their power. The media do not want to inform Americans of one crucial fact: the dangers inherent in crossing the border from Mexico into America, most especially the dangers faced by minor children. Sadly, these dangers too often involve sexual abuse. Decent people who truly care about these children, like President Trump, want to do everything in their power to end this abuse — either by building a wall, or through this zero tolerance policy that will hopefully curb this abusive practice. Evil people want these children dragged across the border, want this abuse incentivized by “keeping the family unit together,” because flooding the country with future indebted voters is more important to them than the safety and well-being of small children. And so, once again, we have the media and Democrats demanding special treatment for illegal immigrants that legal immigrants do not enjoy. Once again we are incentivizing lawbreaking and treating the line-jumpers better than those who follow the rules. Trump understands what is happening and this is why he has moved to a zero tolerance policy. Those who do not have a choice in family separation are the legions of American families permanently separated from family members when that family member is killed at the hands of an illegal alien.